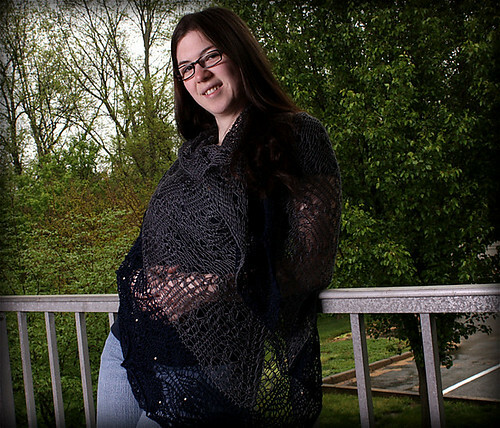 This article addresses some options available to you when you might run out of yarn while knitting a one skein triangle shawl. What makes me qualified to talk on the subject? I have run out of yarn while knitting a project and in my tenure as a designer I knit a lot of triangle shawls and talk with people who have knit a lot of shawls. Let’s start in the beginning and address the easiest solution. Buying more yarn! 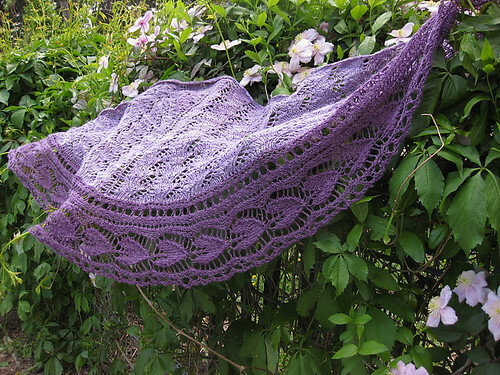 Way back in 2007 when I was footloose and fancy free I knit Shaped Triangle from A Gathering of Lace. I cast on without making a gauge swatch and without paying any regard to the yarn used in the pattern, the yardage requirements, or how a change in yarn could affect my gauge (kind of hard to determine since I didn’t bother with a swatch in the first place!). So when I ran out of my Lorna’s Laces Helen’s Lace Multi I marched into my favorite LYS and bought another skein. Another option strongly related to Buying More Yarn is Trading for Stash on Ravelry. You can search knitter’s stashes on ravelry and some might even sell or trade you their left over yarn! Ravelry is amazing. I know. But Wait, What if You’re Not Sure if you have enough Yarn? I weigh my skeins before I start a top down triangle with a knit on edge. Actually, I weigh ALL the yarn I knit with because I have to record the yardage used when I write patterns! And I’ll share a little secret with you. You can weigh your yarn and relate it directly to yardage by recording what is on the yarn label. How so? Let’s say our yarn has 400 yards and weighs 100 grams. After knitting the main body of the shawl but before starting the knit on edging let’s say I have 50 grams left. So how much yardage is that? Well let’s see using a ratio, shall we? 400 yards = 100 grams. Solving for x we find that x = (50*400)/100 = 200 yards left. If you are still not certain about whether or not you’ll have enough yarn you can continue weighing your yarn after knit on edging repeats to see how much each repeat weighs and compare that with how much knitting you have left to do. Let’s take the simplest example of this and see how much yarn we have left after knitting the short row center, other wise known as the half way point when working a knit on edging onto a triangle shawl. After the short row center we have 28 grams left. That means we used 22 grams from the 50 grams we had earlier when we started the edging. Since 28 grams is greater than 22 grams we should have enough yarn! I usually suggest a rule of thumb for determining yarn usage for those who want to knit a larger shawl. If you want to continue knitting one of my patterns so that it’s larger you are welcome to do so. If you save 50% of the yarn by weight (i.e. 50 grams if you have 100) you ought to have enough to work your edging without running out. If you find that you have less than 50% of your yarn left by weight you can try a sneaky trick that won’t change the overall appearance of your finished object too much. Try knitting the edging on a knitting needle a size or two smaller than what you knit the main body with. I don’t do this in my patterns since I’m writing for other people to knit, but it is a simple and elegant solution to guard against running out of yarn. I don’t use a fancy scale, any small kitchen scale that measures in grams is sufficient. And it doubles as a nice scale for weighing first class mail! I paid under $20 for my scale at Target. This is a more advanced technique because it will require that you alter the short row instructions. Luckily I’ve written a tutorial on exactly how to do just that. Back to the topic at hand, simply add a “k3tog” with 2 edge stitches every 11th knit on edge row and you’ll use less yardage. As I said above this will alter the short row instructions but that’s not a show stopper. My favorite solution to running out of yarn on a top down triangle is to use a contrast border. Some of the prettiest shawls I’ve seen have used this technique out of necessity. All you need to do is knit the main body of the shawl and cast on a NEW yarn when you start the knit on edging. You can do a closely matched color, a contrast color, a secondary color, or whatever else you’d like! I hope that this article about the options available to you when you might run out of yarn while knitting a one skein triangle shawl has been helpful to you! Below are some additional resources you may find helpful on your knitting journey. 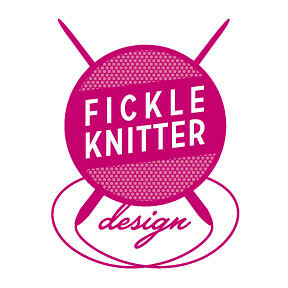 Knit faster is another favourite…. hopefully you’ll knit so fast you’ll get to the end of the project before you run out of yarn. I agree with Anna: I knit faster so I can finish before I run out! Yeah, I’m in the knit faster camp. But did we discuss the swearing part? More creative/colorful->more yarn remaining? It could work, right?